Prabhas is one of the most loved and admired Telugu superstars. He is a finite actor in the Telugu film industry. Recently, the actor revealed which film inspired him to take up acting as a career. Prabhas is one of the most loved and admired Telugu superstars. After the success of Baahubali, Superstar Prabhas has become a household name in the whole country. His acting skills are fantastic and there’s no doubt about it. The actor is quite a private person and he rarely speaks about himself. Well, fans are always crazy to know anything interesting about the actor. The actor revealed which film inspired him to take up acting as a career. As reported by a leading daily, Prabhas revealed that his interest in acting was drawn because of 1976 Telugu movie Bhakta Kannappa. Bhakta Kannappa is based on the life of a Lord Shiva devotee. Prabhas himself is a Shiv bhakt. Superstar Prabhas will be next seen in the film Saaho. The film also stars Shraddha Kapoor and Neil Nitin Mukesh in vital roles. ‘Saaho’ is an action-thriller and has been directed by Sujeeth. It is slated to hit screens later this year and is one of the most eagerly-awaited releases of 2018. Interestingly, this will be the first Tollywood film of Shraddha’s career. And, needless to say, her fans are curious to know more about her role. Some time ago, Prabhas had said that she has a key role in the film and not just a special appearance. “I have never worked with a Bollywood actor before and she is the best choice for the role. We are very lucky to have her on board. Her character is not just like coming and going or just there for the songs. The character is very important and adds a lot of weight to the story. It is one of the most important characters in the film. She has some amazing action sequences also. 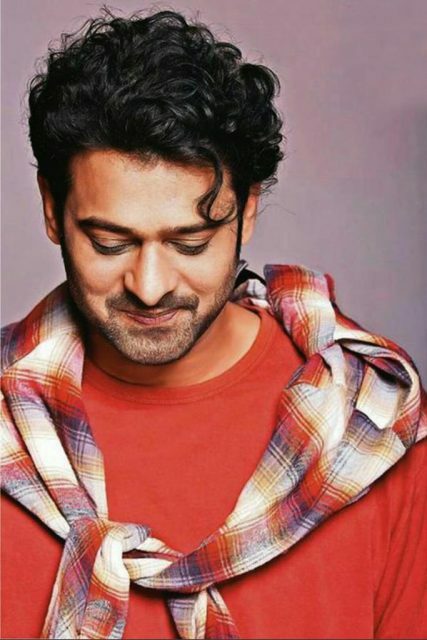 It is a very strong character,” Prabhas had told a news agency. Wishing Prabhas….the irresistibly handsome man with the most mesmerizing smile & intense eyes….all the luck & success for his upcoming movie Saaho.